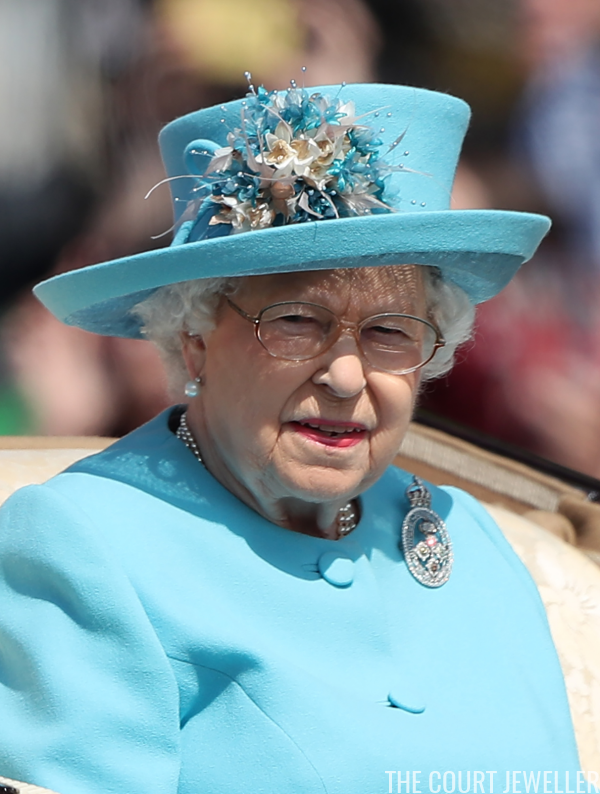 It's that time of year again -- the Queen's Very Merry Un-Birthday! 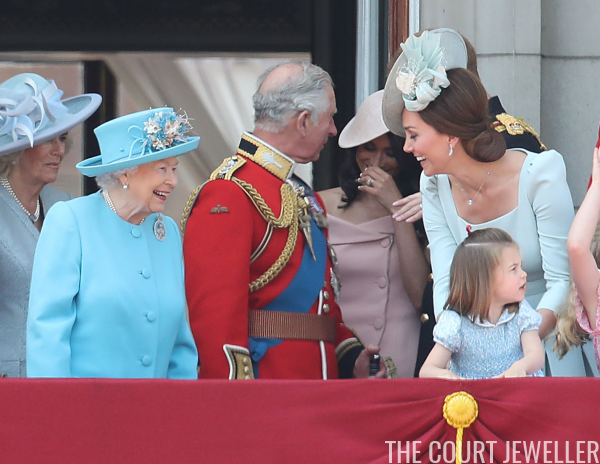 Here's a look at the jewels worn this morning in London for the annual Trooping the Colour festivities. 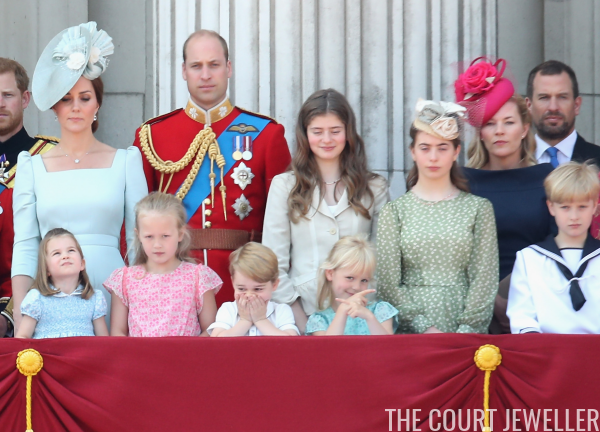 No surprises from the Duchess of Cornwall, either! 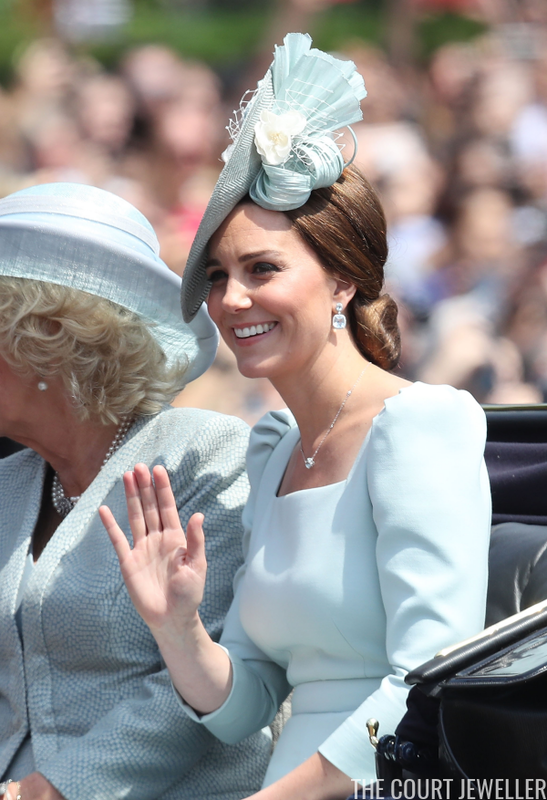 Camilla wore her favorite pearl and diamond daytime jewels, including her pearl drop earrings and the pearl choker with the smaller, round diamond clasp. The Countess of Wessex looked regal in earrings with petite pearl drops. 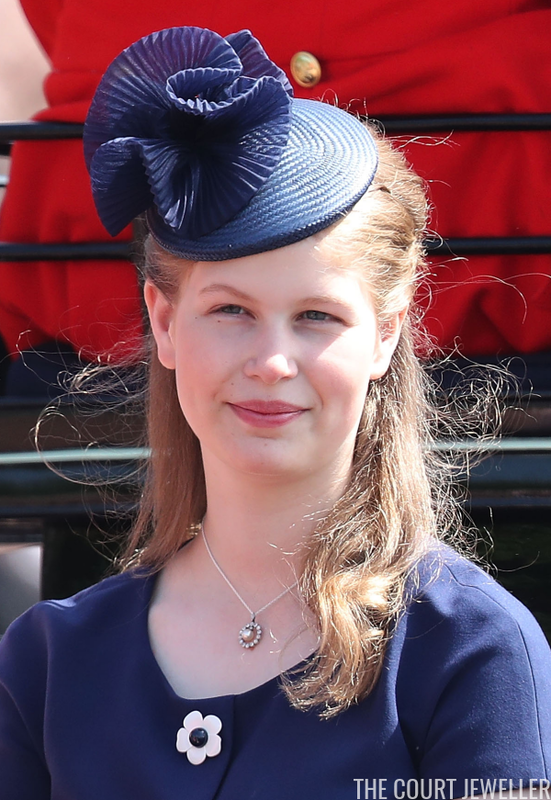 But it was Sophie's daughter, Lady Louise Windsor, who earned my jewelry award for the day. 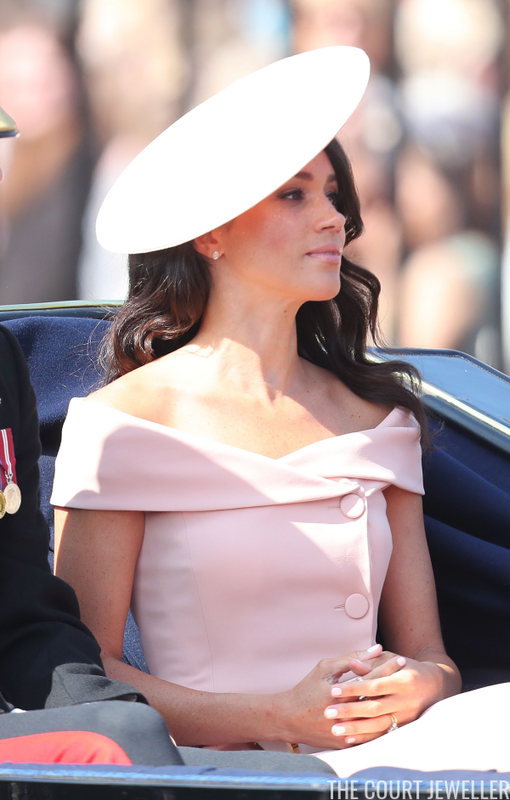 How lovely does she look in this pendant necklace? The piece features a pearl set in a circle of diamonds. 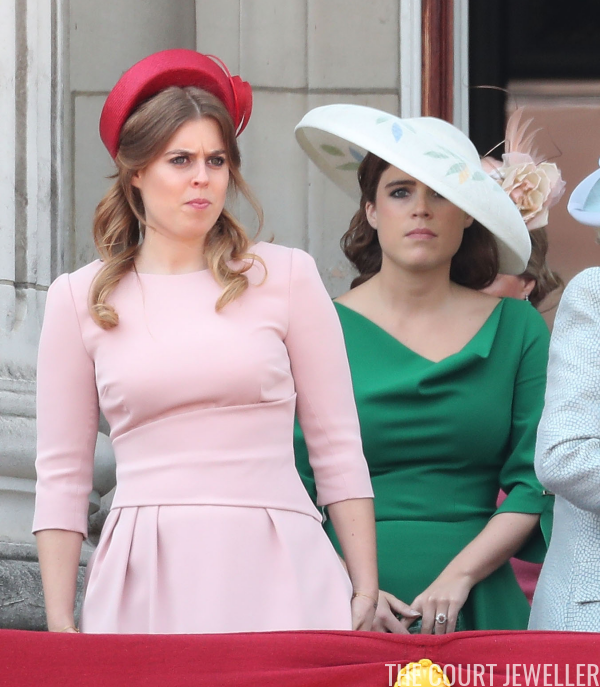 No major jewelry to speak of from the Yorks today, though Eugenie's lovely engagement ring was winking mightily. 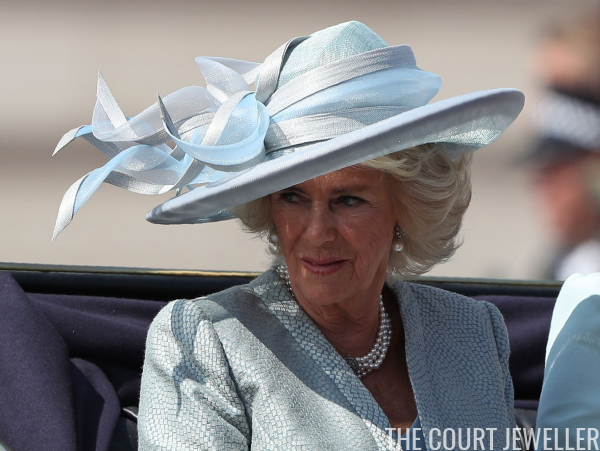 I also liked Eugenie's hat quite a bit. 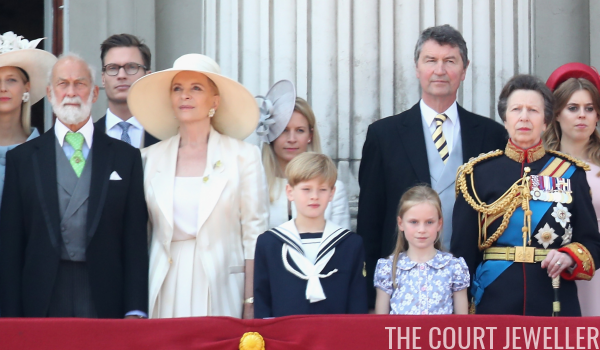 The balcony panorama photos provided a little more sparkle, including floral earrings on both Princess Michael of Kent and her daughter, Lady Gabriella Windsor. 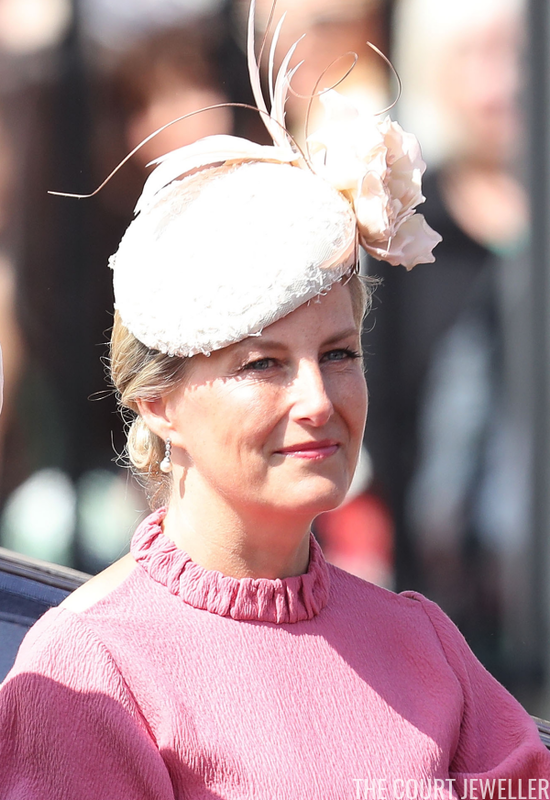 And it looks like we've got a necklace on one of Lady Helen Taylor's daughters, and small stud earrings on the lovely Autumn Phillips. Looked like there was plenty of fun to be had on the balcony today. 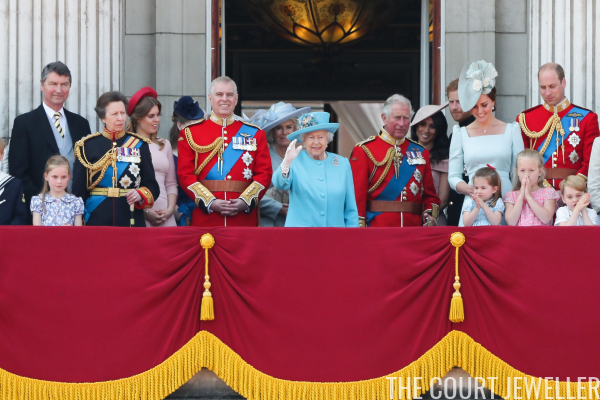 Another belated birthday celebration in the books for Queen Elizabeth II!